Plans have been unveiled for a viewing platform at the top of the Forth Bridge to give visitors a “close-up” look at one of Scotland’s most famous sights. Rail chiefs said they hoped the world famous bridge could be open to the public from 2015. 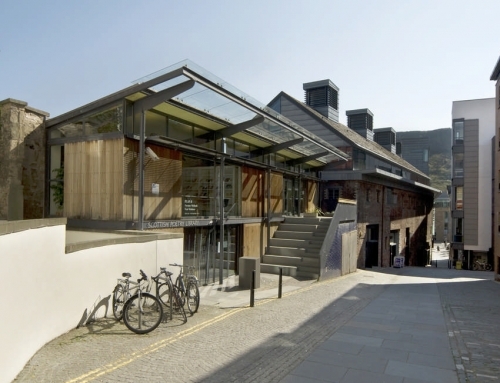 They have released early stage plans for a visitor centre linked by a lift to a viewing platform 330ft (100m) above the sea level on the Fife side. 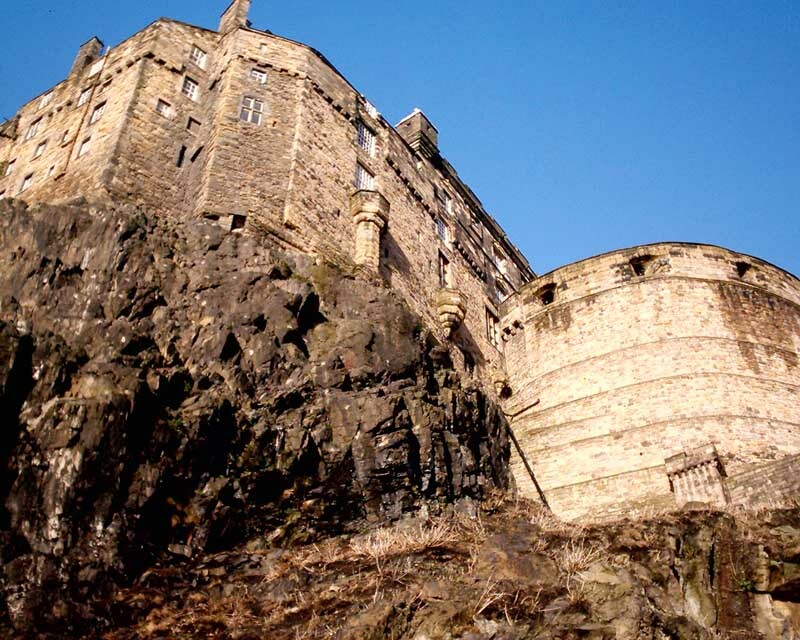 There could also be guided walks to the top of the tower on the Edinburgh side. 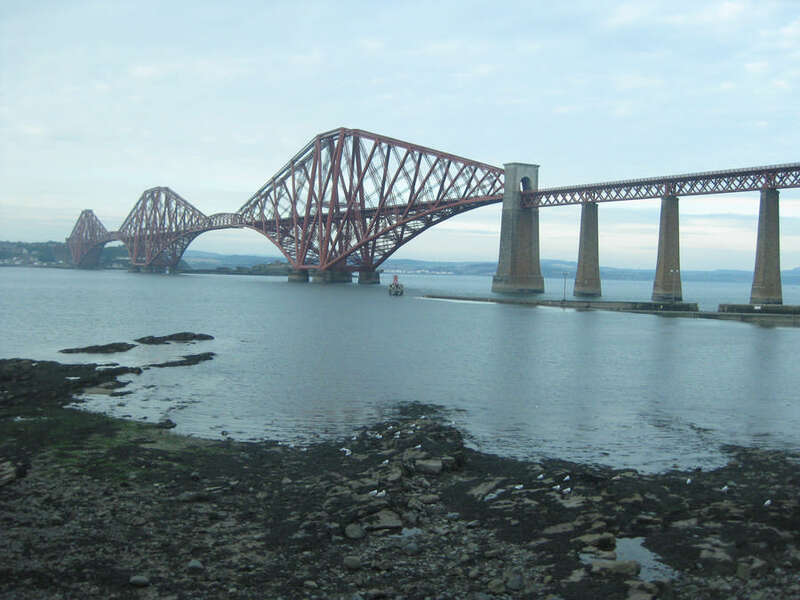 The public’s views on the World Heritage nomination of the Forth Bridge is being sought through a 12-week consultation launched today (20 May 2013). 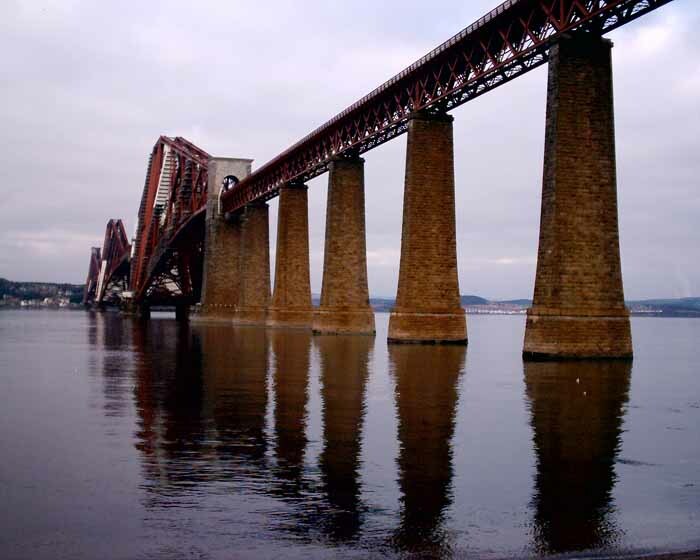 The Forth Bridges Forum – which includes a number of local and national organisations – is keen to gather input from individuals and interested parties in support of the iconic railway bridge’s nomination. 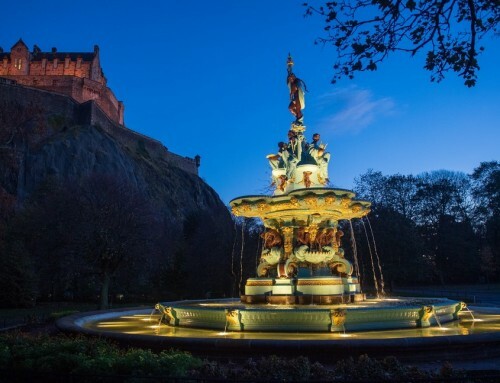 It also wants to hear people’s views on how the potential social, economic and cultural benefits of World Heritage can be managed in the local and national interest. 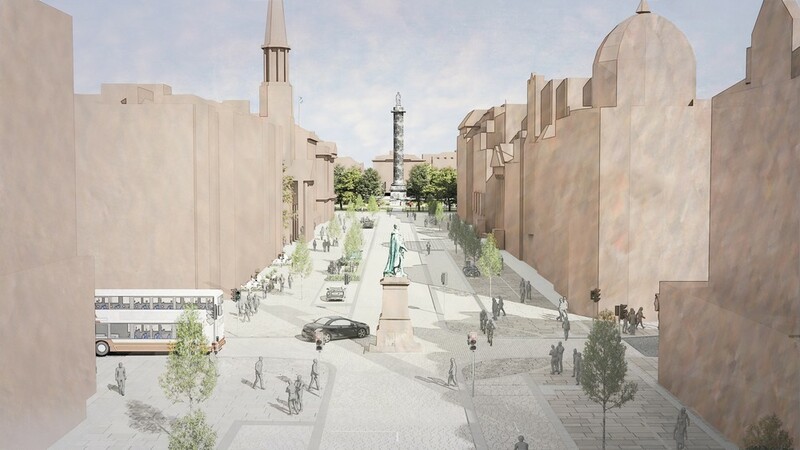 The consultation will seek views on the benefits a successful bid could deliver for the local communities, as well as in wider areas such as tourism, education, skills and innovation. The consultation will also help inform the development of the Bridge’s World Heritage Management Plan, which is essential for any World Heritage Site in ensuring effective management, protection and promotion. 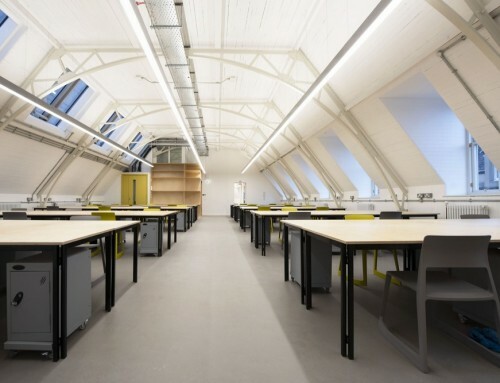 The UK Government’s Department for Culture, Media and Sport announced in May 2012 that the 19th-Century landmark mild-steel structure would be the first site from the revised UK Tentative List to be put forward to UNESCO for nomination. 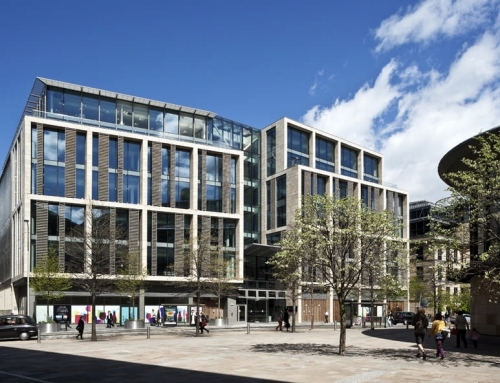 Since then a significant amount of work, including local community engagement and focus groups, has been carried out to prepare for this consultation and the subsequent stages of this process. Information gathered over the coming weeks will contribute to the final document which will be submitted to UNESCO in early 2014, with consideration for World Heritage Site inscription taking place in 2015. All the consultation documents, instructions and guidance are available on the nomination’s website: www.forthbridgeworldheritage.com There will also be a number of community consultation events organised by Fife Council and City of Edinburgh Council on either side of the bridge during the 12-week period. 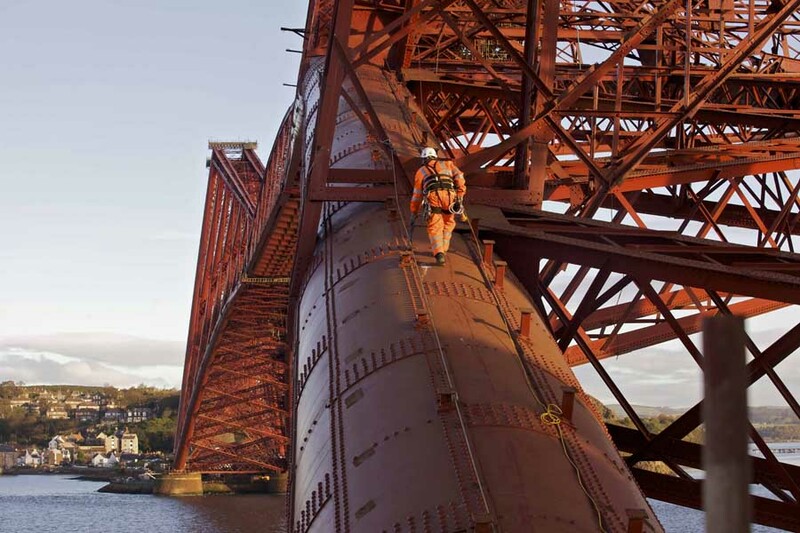 Launching the consultation, Fiona Hyslop, Cabinet Secretary for Culture and External Affairs said: “The Forth Bridge is an iconic and enduring symbol of Scotland’s Victorian engineering ingenuity at its very best. 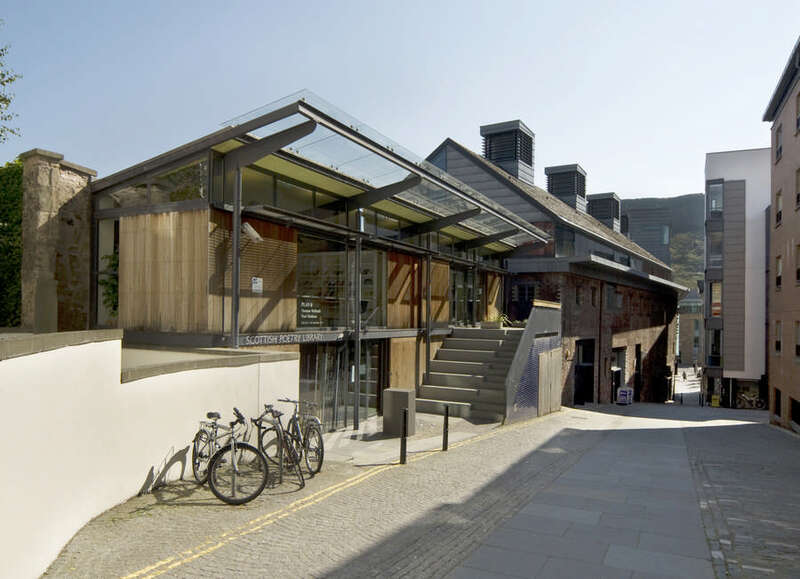 It truly is deserving of World Heritage Site status and as a new industrial heritage site would join our five existing Scottish World Heritage sites in achieving this international recognition. 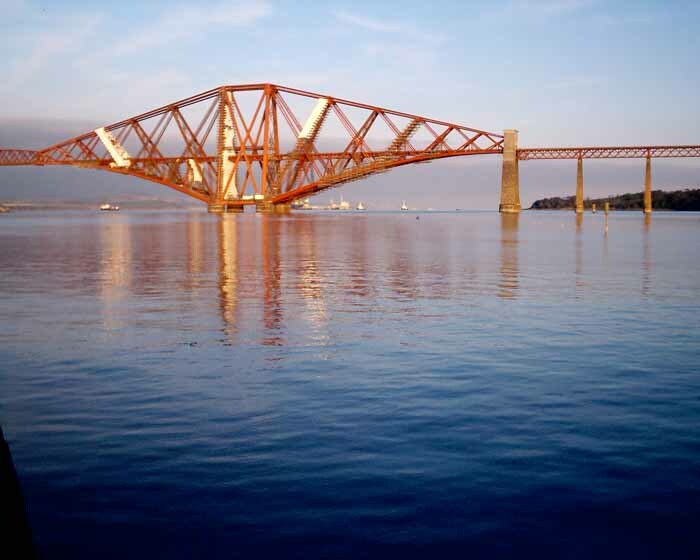 The Forth Bridge World Heritage Consultation will close on Sunday 11th August 2013. The Forth Bridge will be put forward to UNESCO to consider making it a World Heritage Site. The nomination of the engineering icon will be submitted to the World Heritage Committee of the United Nations Educational, Scientific and Cultural Organisation (UNESCO) for a decision at the 2015 meeting. “The Forth Bridge is a Scottish icon that is recognised the world over. We are extremely excited that we have the opportunity to make the case for the Bridge being inscribed as Scotland’s sixth World Heritage Site. 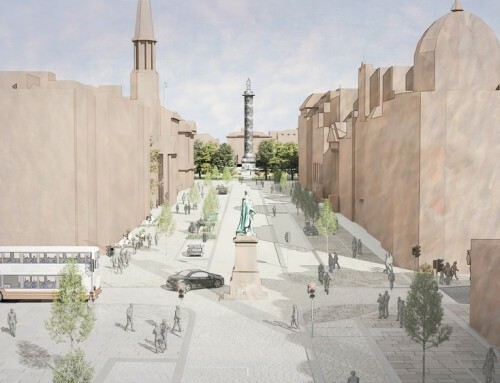 The nomination will be overseen by the Forth Bridges Forum, which includes representatives from Historic Scotland, bridge owners Network Rail, Transport Scotland, the Forth Estuary Transport Authority, Fife Council and City of Edinburgh Council. “The Forth Bridge is one of the most recognisable bridges anywhere in the world and certainly the most cherished Scottish structure of the Victorian era. “The bridge has become a source of pride and a symbol of Scotland’s resilience and ingenuity but we must never lose sight of the fact that it is first and foremost a working structure which still carries over 200 trains a day. If successful, the rail bridge would be the sixth World Heritage Site in Scotland – The Heart of Neolithic Orkney, The Antonine Wall (part of the transnational Frontiers of the Roman Empire WHS), the Old and New Towns of Edinburgh, St Kilda and New Lanark. A revised UK Tentative List was announced in March 2011 that included 3 Scottish sites – Mousa, Old Scatness and Jarlshof: the Zenith of Iron Age Shetland, the Flow Country and the Forth Bridge. 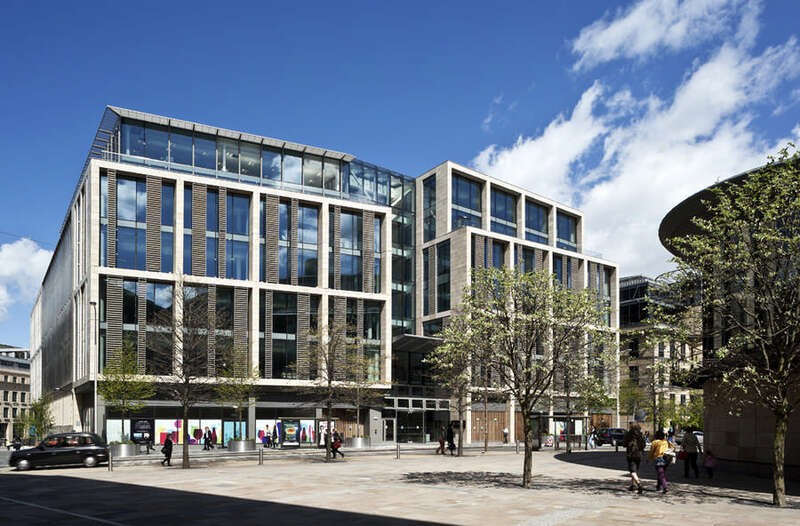 The remaining sites on the Tentative List will be given the opportunity to submit Technical Evaluations to DCMS in the autumn of 2013, detailing why they are worthy of designation. This will inform future decisions regarding which sites will be submitted to UNESCO and when this will be. 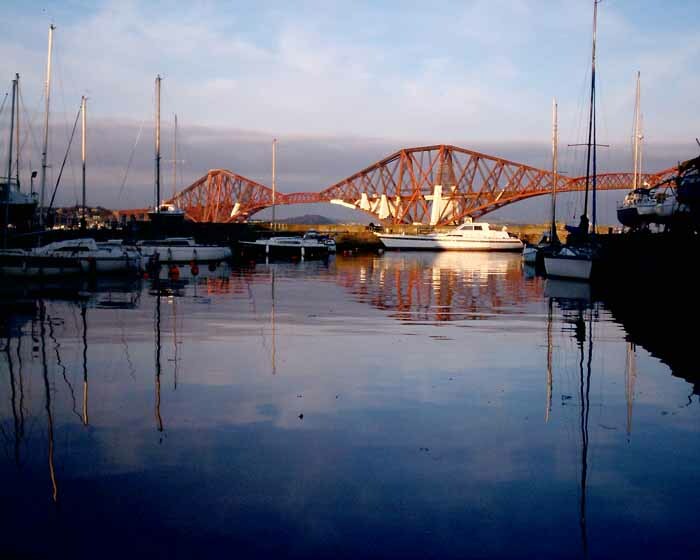 The Forth Bridge is the world’s first large-scale steel cantilever bridge. It is 2.5km (1.5 miles) long and comprises two girder spans of 521 metre (1,710ft) made up of three 105 metre (351 ft) high double-cantilevers, with a long approach viaduct on tall granite-faced piers at its South end. Work on the Bridge was commenced in 1882 and formally completed on March 4, 1890 by HRH Edward Prince of Wales. The bridge used 54,000 tonnes of steel and an estimated 6,500,000 rivets. 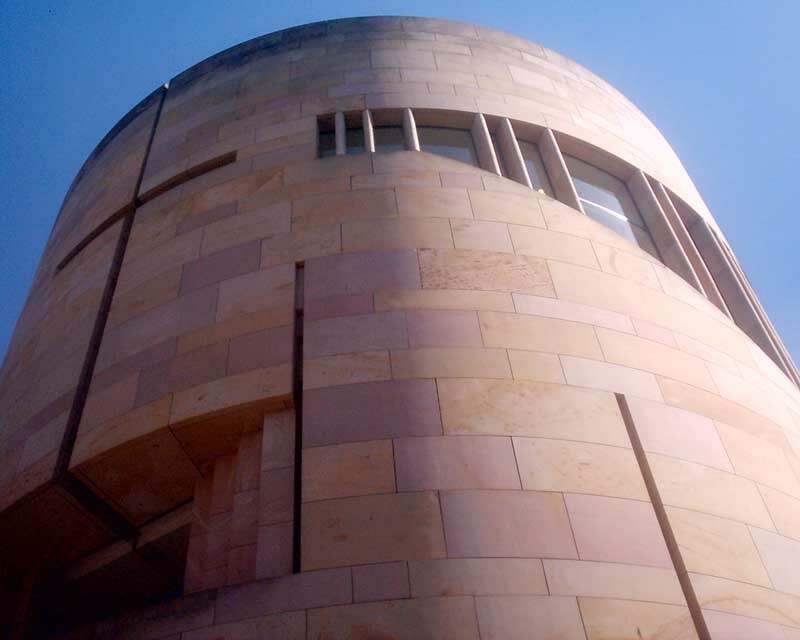 Its total cost was £3,200, 000 (equivalent to around £235 million today). The contractor responsible for building the bridge was the innovative Glasgow engineer, William Arrol, whose main works were in Dalmarnock and later also Parkhead. At the same time as building the Forth Bridge, Arrol’s company also successfully re-built the Tay Bridge and constructed the steel frame of Tower Bridge in London. One of the more unusual people who worked on the construction of the Forth Bridge was Japanese engineer Kaichi Watanabe, who had studied under the Scottish engineer, Henry Dyer, in the Faculty of Technology of the University of Tokyo. He later studied at the University of Glasgow and then worked as a construction foreman on the Forth Bridge. He is famous for appearing in a photograph as the central part of a ‘human cantilever’ demonstrating the engineering principles of the bridge. This photograph can now be seen under the ‘20’ on the Bank of Scotland £20 note. Early stage proposal for viewing platform at top of Forth Rail Bridge, reports the BBC. 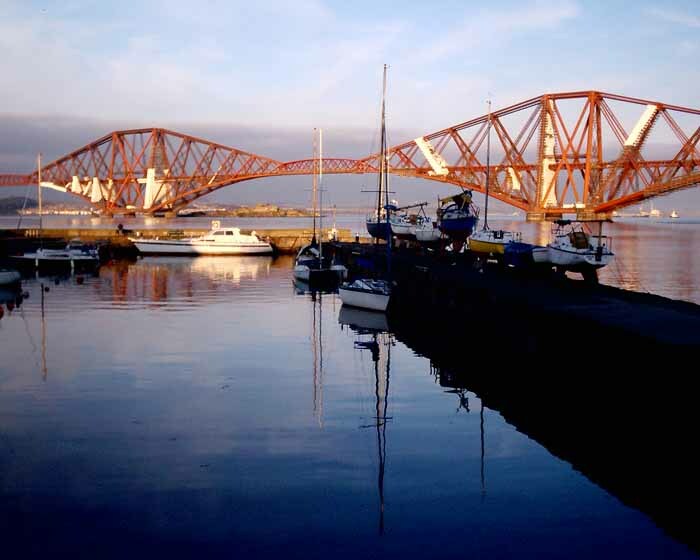 The platform would be hoisted to the top of the bridge and would offer stunning views over the Firth of Forth. Rail chiefs are looking at the idea of building a viewing platform for visitors to be hoisted more than 300ft to the top of the Forth Rail Bridge. Network Rail, which manages the bridge, has confirmed it is examining the feasibility of establishing visitor access. Last month a 10-year job to paint the bridge was finally completed. During restoration work, lifts had been built into all three of the bridge’s towers to facilitate worker access. 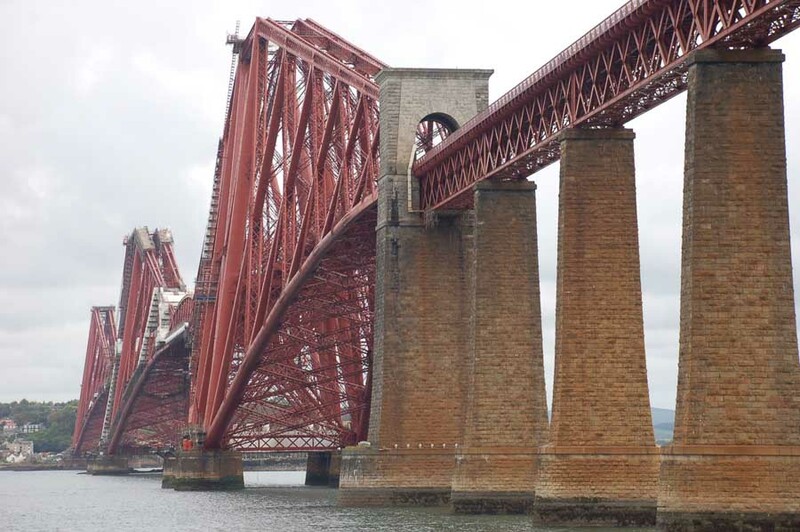 Also, Network Rail has now agreed to support a bid to win World Heritage Site status for the Forth Bridge. The Forth Railway Bridge is a globally-important cantilever structure. The bridge traverses the Firth of Forth at a pinch point with islets, between South Queensferry and North Queensferry. The structure, is frequently illustrated in encyclopedias and architecture / engineering books with the famous contemporary photograph of its mock-up, with two top-hatted men holding up another, demonstrating the clever use of structure. The bridge uses huge tubular sections in criss-crossing grids and is very different from other rail bridges. The Forth Rail Bridge was designed by Sir John Fowler (1817-98) and Sir Benjamin Baker (1840 – 1907) and constructed by Sir William Arrol. An earlier project for which a foundation stone had been laid in 1873 was to be designed by Sir Thomas Bouch (1822-90). This was cancelled following the collapse of his Tay Rail Bridge in 1879. The new Forth Rail Bridge project began in 1883. Around fifty-seven people died in construction, but this figure is disputed. At the opening ceremony in 1890 the Prince of Wales drove home the last rivet, which was gold-plated and inscribed to record the event. The bridge was built to carry the two tracks of the North British Railway over the Firth of Forth between South Queensferry and North Queensferry. The bridge carries the main east coast rail line over to Fife and up to Aberdeen. The Forth Estuary Transport Authority presented the results of a feasibility study in Jun 2004 for a second Forth Road Bridge. The proposed structure would be 2.2km long with 185m high towers and support a central span of 1375m making it the world’s sixth longest bridge span.